A & G Refrigeration Inc is proud to serve the Lockport community! About Lockport, LA - Happy to be your hometown Heating & Air Conditioning Contractor! Lockport is a small town in southeastern Louisiana. The town is 85 miles south of Baton Rouge and 50 miles south of New Orleans. According to a United States Census Bureau report, Lockport became populated by approximately 2,475 people in 2017. Lockport is estimated to be the largest town in Lafourche Parish, Louisiana. Residents of Lockport enjoy life in a small Louisiana town that became founded in the mid-1830s. Lockport features quaint neighborhoods, the Lockport Bayouside Park, and attractions like the Center for Traditional Louisiana Boat Building & Museum. Lockport is also home to locally owned businesses that provide residents shopping, dining, and employment opportunities. In Lockport, Louisiana, individuals enjoy life in a quaint community. It is necessary for residents of Lockport to have access to cooling and heating systems inside their homes. Lockport is in a region of the United States where very warm summer seasons and cool winter seasons are common. Professional HVAC technicians recommend central air conditioning units and furnaces for installation in Lockport homes. During the months of summer, average daytime temperature highs range from the upper-80s to low-90s. Temperatures rise above 100 degrees Fahrenheit when heat waves pass through Lockport. Central air conditioning units that are installed and regularly inspected HVAC technicians keep residents cool and comfortable indoors. Lockport residents should also have access to heating systems inside their places of living. During the winter seasons, the daytime temperature highs average in the mid-60s in Lockport. At night, temperatures range from the mid to upper-40s. During cold snaps, temperatures will drop below freezing. Also, precipitation is common during the winter seasons. 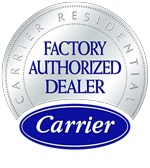 Professional HVAC technicians recommend furnaces for installation in Lockport homes. Furnaces that are installed and regularly inspected by HVAC technicians protect residents and their homes from potential damages caused by harsh winter weather conditions.